The older I get, the more reflective I become. I try to gain wisdom and insight from my experiences, from all those years I’ve logged on the earth. Then try to pass some of that along to you. There are very few universal rules to life, but I have noticed some tendencies of events by the decades in our life. The first decade is the discovery era, when our physical being starts to fine tune and we learn all about where we are, where we come from and some of our limits. Our second decade includes the teen years and all that comes with it. You believe you know it all, then find out you don’t You fall in love, you get hurt. By the time we hit our 20s, we begin to start thinking about pointing our life in a direction. We’ve started a career, we hope to find that life-partner. Then it’s off to the 30s, when we either start settling down into a family routine or we have a reset and start the process over. As we head into our 40s, marking our 5th decade on this planet, things start to fall apart. It’s where you go to a party and the first topic among friends is how much your knee hurts, how you twisted your ankle playing basketball, etc. If you get the kid thing going, this is when you watch them go through the teen years, trying to help but also letting them experience it all, just as you did. Now, we get to the 50s. Twenty years ago, I saw this decade differently. In my social circles, by the time you hit your sixth decade, you had it made. The kids were through college, all your investments were paying off, you had more time to go on nicer vacations. It appears the economy has changed that reality before I got there. For me, this decade has been a stretch of major life-change and frankly, a lot more work than I had planned. It’s when you see friends lose their parents, making you realize how lucky you are to still have yours. It’s been far from the decade of coasting and prepping for retirement. One thing I have noticed about this decade. It’s also the time when we say goodbye to the movie TV icons of our childhood. Remember, when you were watching in their pajamas, those guys were in their 30s and 40s. This year, kids who great up in Seattle said goodbye to their lovable TV clown, J.P. Patches. As I’ve blogged before, we had a plethora of TV show hosts down in the Los Angeles area: The Pancake Man (featuring Hal Smith as the chef from I.H.O.P. ), Engineer Bill over on channel 9 and LA’s own version of Andy Griffith, Sheriff John. Sheriff John was like Mr. Rogers in a cowboy hat. He was kind, folksy and was on the TV in our home most mornings. His big mark in my childhood memory–his birthday song. 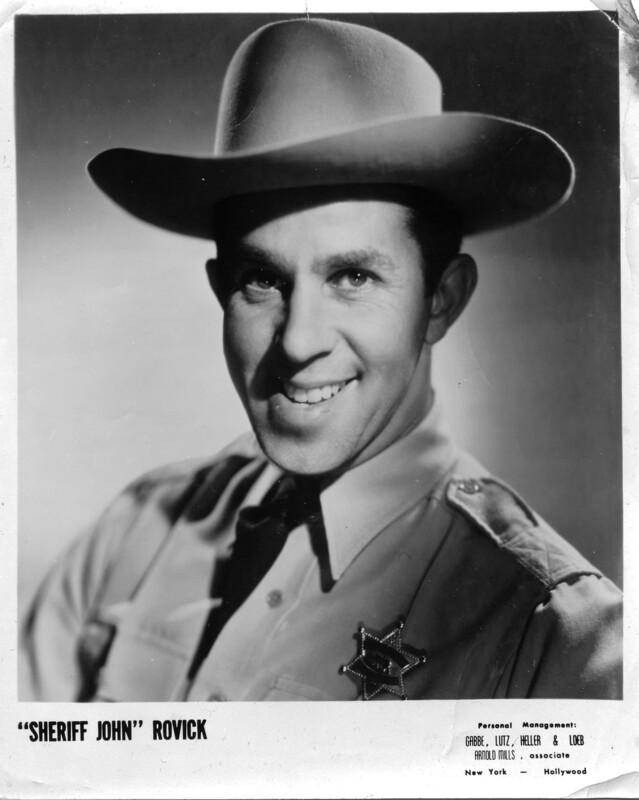 Like lots of kiddie show hosts, he acknowledged birthdays on the screen and sang his song, “Put another candle on my birthday cake.” Here’s a great tribute to the Sheriff, which includes several of the songs that are imprinted in my brain. As so, as this decade goes, I say goodbye to Sheriff John, who has been quietly living out his years in Idaho. He passed away at the age of 93 over the weekend, hopefully knowing what an incredible impact he had on thousands of kids growing up in LA in the 1960s. I was one of them. You’ll live on in my memory bank as long as the machinery keeps working. Ten years from now, I’ll let you know how the 60s work out. Just remind me. ← Five years, huh? Hard to believe….